Some parents donate their daughters to the Boko Haram for suicide attacks, the Nigerian Army said on Saturday. The Army in a statement by its spokesperson, Sani Usman, therefore warned such parents to desist forthwith. Mr. Usman, a brigadier general, also appealed to religious, traditional and community leaders, and other Nigerians in the North-east, to dissuade people from donating their daughters to Boko Haram for indoctrination and suicide bombing missions. Mr. Usman said the appeal became necessary following revelations by some intercepted female suicide bombers during interrogations. “It was discovered that most of these hapless minors were “donated” to the terrorist sect by their heartless and misguided parents and guardians, as part of their contribution to the perpetuation of the Boko Haram terrorists’ dastardly acts against the Nigerian society and humanity. “The acts of these parents and guardians are not only barbaric, but condemnable and unacceptable. “Nigerians have a responsibility and obligation to collectively mould our children and wards and define a better future for them rather than condemning them to death by the criminal Boko Haram terrorists and their sympathisers through suicide bombings,” Usman said. 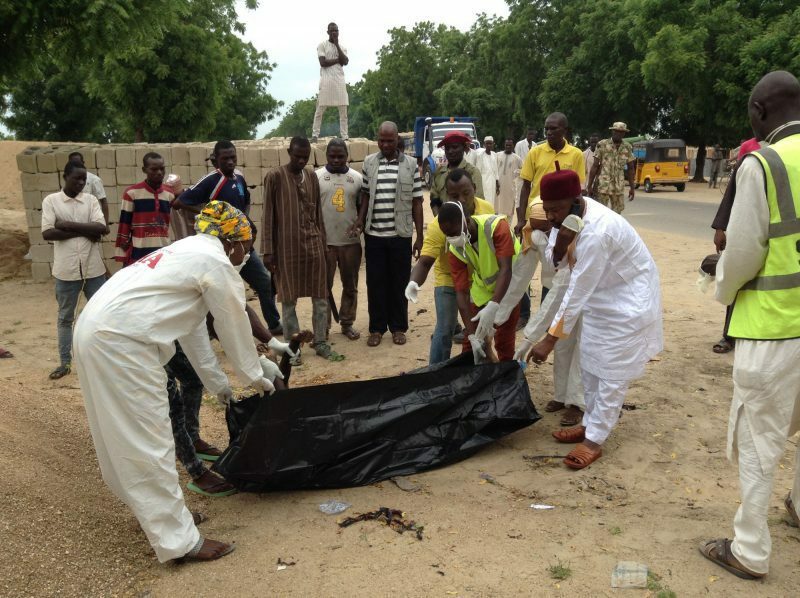 Suicide bombings, largely by teenage girls, has been on the increase in Borno since the start of this year with scores of such attacks leading to the death of several people. 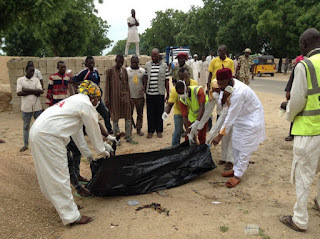 The latest of such incidents occurred on Friday with security agencies announcing on Saturday that three suicide bombers including two females were killed by security operatives. Two members of the civilian Joint Task Force were also injured in the ensuing explosions. In his statement on Saturday, Mr. Usman urged the people to be more vigilant and security conscious. He urged Nigerians to report any suspicious persons or those whose daughters or female wards are missing or have not been seen recently. “You can report by calling 193 on any network. 0 Response to "SHOCKING: Parents donate daughters to Boko Haram for suiciding bombing, Nigerian Army says"